You knew WaveRace64 would be special right from the start, Nintendo built a beautiful game and knew it. Everything was constantly in motion from the jet-skis to the wakes they left with big dramatic camera shifts, this was no mere title screen. Past the visuals it felt great to just ride around with the way everything reacted. From doing stunts on the ice or wiping out head first into a post in the fog, fighting a storm to cruising through a calm night city, there was plenty of variety, of which it had in spades with different weather to master or areas opening up per lap, a first for the genre maybe! This was right around when the joystick was new and it had its own learning curve, which was a lot easier for us kids… but once you had a good handle on it, it was pretty rewarding and you could do a lot more with just the waves than being tied into depending on terrain. If you wanted you could clear a rocky dock, plow through some sand, skip through some mines and of course the submarine. The game was full of energy and the submarine move is by far the coolest thing I’ve seen for a water sport game and have since only ever seen it in WaveRace. This is a game a series I’ve long missed, with No Wii or WiiU title in sight, some fan service of pumping up the fun memories will have to do. Even though the area I picked (Southern Island) is a lot more subdued in the actual game, I wanted to push that feeling of being free as much as I could. Which means lots of wide spaces and the riders might be flying off in the air on a huge jump or skipping a buoy to get ahead. Hey, even in the game you could still submarine under the docks if you wanted, and it really was special the first time you get to see the tide lower every lap. 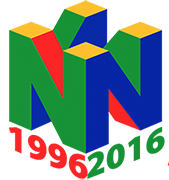 By now I’ve played a few water racing games like Splashdown or the Hydro series but I always thought the N64 one is one of the best. This was made in the golden days of Nintendo’s EAD you can’t get much better than that, this game pretty much set off a sub genre and still holds up to this day with the water physics they built! This game we had since day 1 of our n64 and my brother Nate and I spent tons of hours into it, even my mom got in on the action. Even after we exhausted racing each other, we would just turn the game into tag or follow the leader and slam into each other. Without a doubt I wouldn’t think so fondly about it if all I had was the AI to race, it was a perfect game to highlight Nintendo’s push for multiplayer and I wouldn’t have it any other way. 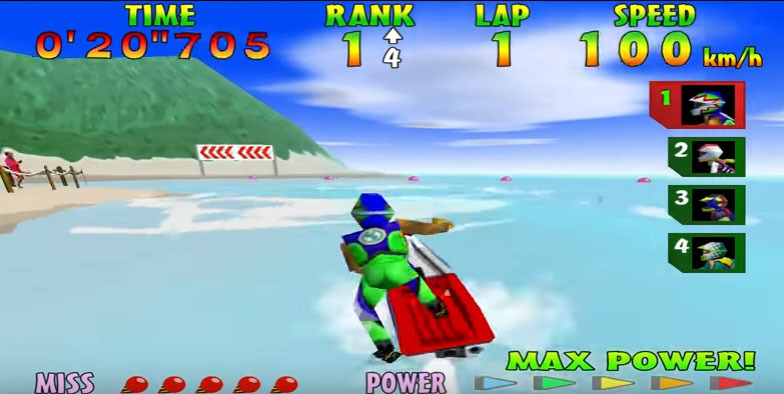 Wave Race 64 was one of the first Nintendo 64 games and first released in September 1996, the North America release was only a few months later in November. 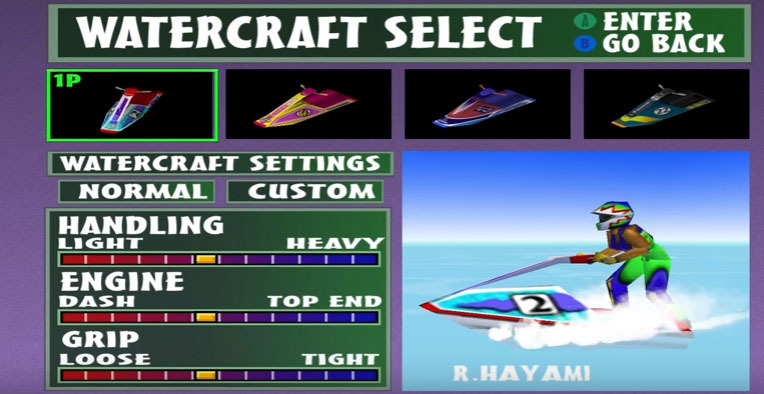 Instead of a direct F-Zero follow up on the new console, Nintendo thought it would be cool to show of the possibilities of a racing games on water that is very different from the majority of the other arcade racers, which had their big momentum in the mid-nineties. Wave Race 64 is also the 2nd part in the series, the first one is a Game Boy game released in 1992. The game was super fun and a unique experience and earned praising review scores everywhere. 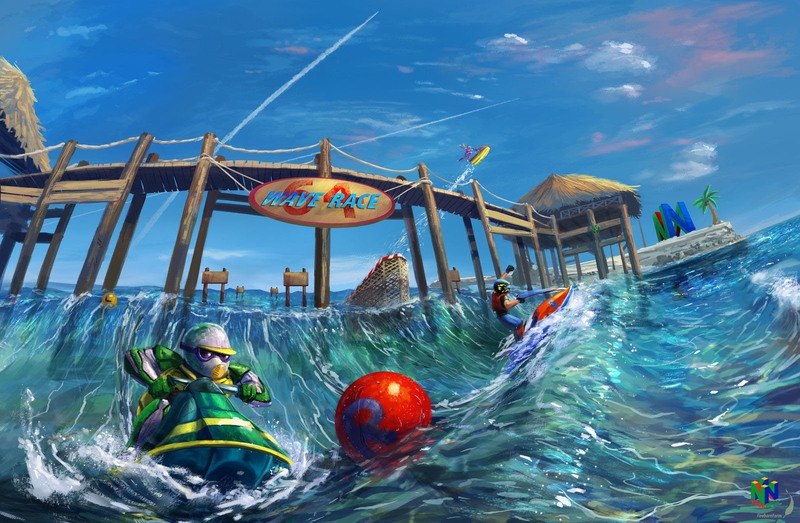 In 2001, Nintendo released Wave Race: Blue Storm for the Nintendo 64, till today sadly the last Wave Race game.